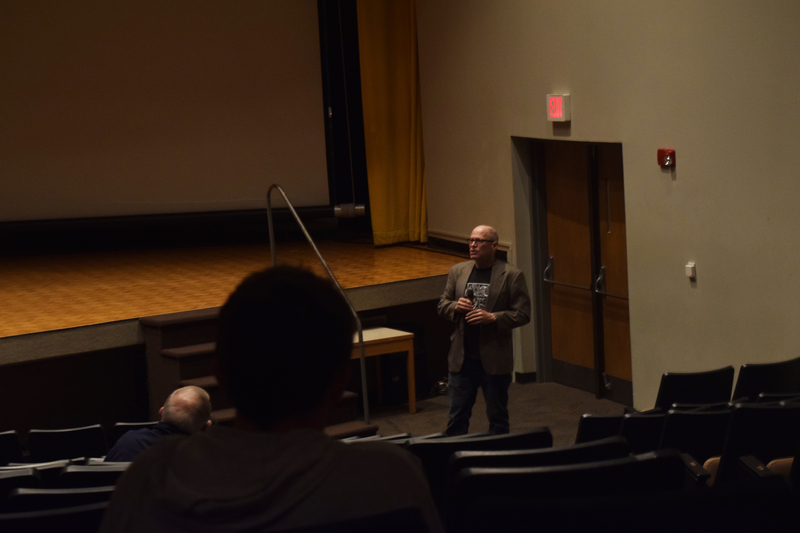 When it comes to film, director Robby Henson stepped outside of the box by producing a short documentary on the lives and aspirations of inmates serving time in a Kentucky prison. The focus of the film is on the inmate’s self-expression through poetry and prose. Through volunteer organizations such as Shakespeare Behind Bars and Voices Inside, these men are able to translate their past, present and future into their written works. “I wanted it to be about the artist themselves,” Henson said. This project was undertaken to show what the personal lives of inmates were like in a prison and who they are as a person. From the testimonies in the film, the men revealed that it is difficult for them to live in the prisons. There isn’t much to do, and if they’re not careful, they can lose themselves. That’s why these men have taken their fate into their own hands. They write to maintain themselves, to explore themselves, and to understand who they are. “I Come From” initially started as an exercise to create a spoken word poetry. During one of the Shakespeare Behind Bars’ workshops, the men were asked to fill in the blanks of their favorite color, food, things to do, etc. and read it out loud. What they learned about themselves sparked an inspiration, and they have continued writing since then. This play is about a young boy growing up in the inner city with his family and gives Phillips’ personal testimony of the horror of his crime and how he reacted. Deeply moving and just as emotional, Phillips’ play focuses on the cruel world inner city kids grow up in and how one mistake can alter someone’s life. Phillips mailed his play to a contest for a chance to have his work recognized, and of all of the submissions, his was chosen. His play premiered in New York, and he has won many awards following the debut. As Phillips lives the remainder of his sentence behind bars, this film shows that artists can be found anywhere. Despite what these men have done in the past, they are humans just like the rest of us and deserve a chance to express themselves. “I Come From” is a moving film with a theme that begs its audience to sit back and think about what others go through. Though backgrounds and circumstances may differ, this film points out that humanity belongs in all of us. This film not only expresses the lives of the inmates, but it also makes us ask ourselves where our own path is headed and what we will do to grow as individuals. The inmates’ only wish is for ordinary people to find their works and to see that anyone has the choice to live the life they want to live.